StarHub and Astro have partnered to offer young footballers the chance to train with one of the leading football clubs in Europe. 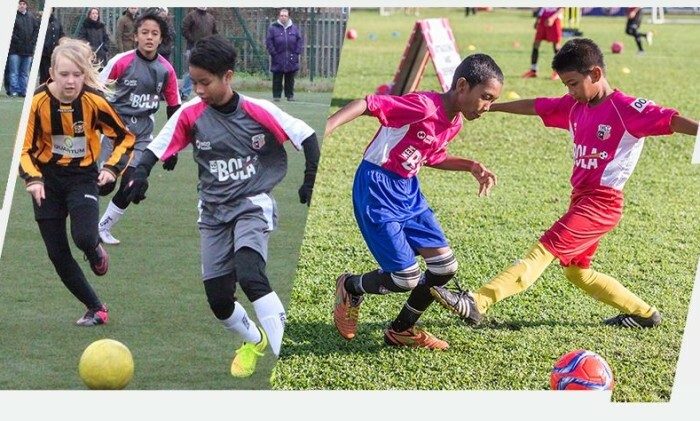 Called Astro Kem Bola (“football camp”), the sports outreach programme is open to Singaporean boys and girls between the ages of 10 and 12 years old and aims to give student athletes the opportunity to experience professional football at the highest level. It is organised by Astro Kasih and supported by StarHub and the Football Association of Singapore (FAS) and is the first time that Astro Kem Bola will be held in Singapore. Astro Kasih is the corporate social responsibility arm of Malaysia-based integrated consumer media entertainment group Astro. For the Singapore leg of the programme, StarHub will be raising awareness of Kem Bola through its in-house SuperSports channels as well as its social media presence. FAS will also be heavily involved in the grassroots outreach to schools and clubs. A total of 11,000 children have participated in the programme since its inception in 2012. In the past, the overseas training programmes have been conducted with clubs such as Cardiff City Football Club and West Ham United Football Club. “Astro Kasih has been doing a fantastic job of running Astro Kem Bola and we are proud to work with them and FAS to bring this meaningful programme to young Singaporean footballers for the first time ever. Kem Bola is all about empowerment and we want to support our brightest footballing talents in following their passions,” Lee Soo Hui, head of media business unit, StarHub said. “Through the Astro Kem Bola programme, we have seen many talented kids who grew into the well-rounded athletes, captaining the Malaysian national team in international friendly matches. We are privileged to be able to play a role in their development and look forward to do the same for the youth of Singapore and other ASEAN countries,” Datuk David Michael Yap, vice president of community affairs at Astro, said. TMI publication suspension: Could paywalls have saved the day? Most recently, The Malaysian Insight revealed plans to stop publication. One of the reasons was revenue impact from not having a p..
阿迪达斯公布「2020年大中华区立新（Creating the New 2020 Greater China）」战略 ，锐意在2020年成为中国最佳运动品牌。..